Welcome Your number one choice for a professional, reliable, friendly taxi service for the communities of Malton and Norton , Pickering and throughout Ryedale covering taxis to all surrounding areas. We're proud to have been serving the community for over 20 years! 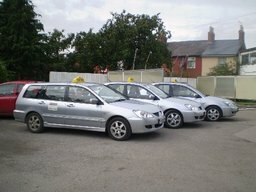 providing taxis in Maltonand now Pickering too to wherever you wish to go nationwide and local. 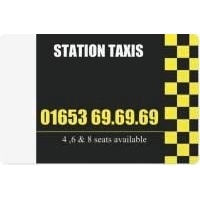 About Us Station Taxis is a family run business established in 1991, since when we have grown to be the largest taxi service in the Ryedale area. Based at our own workshops in Norton with a second office at Malton Station and now operating in the Pickering area, we operate a fleet of vehicles to suit all requirements, comprising of 15 cars, 5 mpv's and 4 minibuses. 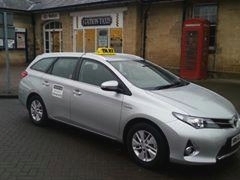 We now also have ryedales first eco-friendly green hybrid taxi and are shortly taking delivery of a second in order to help protect our local environment. We ensure that they're kept to the highest possible standard, including a comprehensive servicing and maintenance regime carried out by our own mechanic. Our Services Undertaking thousands of journeys each year, our vehicles and drivers (both male and female) are fully licensed by Ryedale District Council and all drivers are vetted to enhanced CRB/DBS standards. They have a wealth of local knowledge and are proud to assist in any way they can. We're passionate about serving the local community and continually strive to improve the quality of our service.